Cats and Dogs in Tazewell County will have a new and improved shelter to stay in before finding their forever home. Community Members and Tazewell County Animal Shelter staff gathered for the ribbon cutting of their new facility located on Camp Joy Road, Bluefield, Virginia. As many are aware the Tazewell County Sheriff's Office seized 32 dogs from a home in the Jewell Ridge area on Friday, October 12, 2018. It is difficult for any shelter to take in 32 dogs at one time and particularly difficult if that shelter is a small rural facility such as ours. We are thankful that in this case no animals had to be euthanized in order to make space for the 32 seized dogs to be placed in the shelter. While Tazewell County Animal Shelter is not yet a no-kill facility this is a goal we strive to achieve each and every day. We are also fortunate enough to work with some amazing Rescue groups and dedicated individuals who help us move animals each and every week. Spay and neuter in the community is key so we can start to see a decrease in the number of animals coming into the shelter each year. If you or someone you know needs information on low cost spay and neuter options please give us a call and we will be happy to talk to you about those options. We have received an amazing outpouring of support during this time and several people are offering to foster many of the 32 animals seized on Friday. RIght now those animals are part of an ongoing investigation and considered evidence so they cannot be fostered at this time. We do have many other animals at the shelter that are available to be fostered. If you would like more information on fostering or would like to apply to be a foster mom or dad please contact us. For those of you asking what type of donations we could us at this time, we need towels, blankets, hard and soft dog food, basic cleaning supplies and dog beds or you may mail a donation to 736 Camp Joy Road, Bluefield,, VA 24605. On July 22nd 2018 Angela said: We adopted a senior dog from the shelter a year ago and he is an absolute darling. The staff there are terrific. We got there on a 'cleaning day' and they were nice enough to not only let us look around, but adopt our fur baby even though they were not open that day. Thanks again to the staff for being so nice to us! On June 7th 2018 Sarah said: Staff members are friendly and helpful answering every question I had about the dog. They even brought out another dog to see how the dog I was looking acted with other dogs. Super satisfied. On August 20th 2017 Linsey said: I have adopted three pets from them when I lived in Virginia. They were all wonderful animals. TCAS does a great job getting the dogs on social media and many find homes or rescue groups. I am impressed by their organization. On August 13th 2017 Richard said: My old boy Diesel was adopted here 15 years ago when he was 8 weeks old. He is still with us and going strong. On May 30th 2017 Brittany said: They were so nice to me and answered all my questions. Great experience and got a new buddy! On May 24th 2017 Brittiany said: I got my fur baby from here. She is the sweetest, most loving dog. I recommend if your looking for a furry friend give it a visit. It is a year since I adopted Bailey from here next month. She is one of the most amazing dogs I have ever had, so sweet and loving and loves adventure. On April 25th 2017 Rachael said: I adopted my dog Delilah from TCAS 9 years ago. Delilah passed away April 15, 2017 and I'm so thankful for the 9 years I had with her thanks to this shelter! On April 3rd 2017 Mallory said: Absolutely great place! Very fair prices and the animals are well taken care of. They can tell you the behavioral habits of the animals and how they act. They are kept a close eye on. I adopted my dog (Sarge) from here around Valentine's Day and he is just the happiest puppy in the world! On March 23rd 2017 Heather said: I went there at the beginning of this month, and everyone that I came in contact with was really nice and treated me nicely. I would definitely recommend this place to anyone. On March 7th 2017 Jim said: My wife and I got our dog Captain a few years ago from this shelter. He has been a great dog for our family. On Feb 26th 2017 Amber said: I adopted my sweet baby Anastasia (her original name was missy) from there 6 days ago and she is the sweetest, most amazing, and smartest dog I have ever met. The people at Tazewell County Animal Shelter were amazing. They were so friendly and helpful and did not hesitate to answer any questions I had. I know I will be adopting more animals from them in the future. I definitely recommend Tazewell County Animal Shelter as the place to go to adopt your forever friend. On Feb 13th 2017 Cindy said: We adopted a sweet lil girl from there last week. The folks that worked there were great to my son and I. They even sent us home with a stuffed bear and treats for our girl Lillian. The areas we visited were very clean. All the animals had food and water and beds. I hate all these sweet babies are there, but they did appear to be taken care of. Go Adopt! On January 29th 2017 Charles said: I have only dealt with them once, but that one time was all it took. I adopted Brownie from them and he is my new trucking buddy. They were super friendly and I feel like they take care of the animals and the facility. And I love my dog. On December 17th 2016 Jennifer said: I came to this shelter to meet a doggie named Anna. I live over an hour away so I sent several messages asking A LOT of questions about her. Not only did I get a fast reponce they were in-depth answers. I know they are busy up there and I just really appreciated the time they took to answer everything and I also appreciate their honesty. They could have told me what they thought I wanted to hear just to get her out of there but they didn't. So we went up there and everyone was very nice and helpful. They let me take all the time I needed to see her and make a decision and wasn't pushy or made me feel like I was wasting their time. In this process of finding another dog I have been to a few shelters and not got this type of treatment. I will come back to Tazewell in the future and I recommend this place to anyone looking for a new furry friend! On December 2nd 2016 Mark said: Such a great staff, Robin and the people there were wonderful. We love our Great Dane Diesel Marmaduke. Has our hearts for sure. On November 5th 2016 Mandi said: I have dealt with this shelter twice and gotten two of the best dogs I've ever owned from there! Last year I found a dog left for dead beside a garbage dumpster in the middle of winter, her neck was ripped open I called the Tazewell Animal Shelter and let them know I was on my way with her. As soon as I got there they took her and immediately started accessing her wounds and condition. This dog would soon have an angel at her side, Clarissa was by Dolly's side through the long process of recuperation. If it wasn't for Clarissa along with others who helped, I'm not sure if Dolly would have made it. She kept me updated on Dolly's progress and soon we came back to adopt Dolly because we felt an attachment to her. I couldn't imagine a better person to have working at that shelter, someone who devotes their time and energy to helping animals anyway that they can! I want to say thank you and I hope anyone who says differently certainly takes another look and gets to know someone better! On September 8th 2016 Sarah said: Almost a year ago I got my precious Titan. He is a Husky/Pitbull mix and we love him dearly! Thank you Tazewell County animal shelter she helping us find our perfect puppy. On June 30th 2016 Willie said: Thanks everyone at Tazewell County Animal Shelter. Rachael is the sweetest and loving fur baby. On Feb 26th 2016 Talia said: I absolutely love this shelter! We adopted our fur baby Arya from there several months ago, and could not be more happy. The shelter staff was easy to work with, and made adopting a dog a pleasurable experience. I would definitely recommend anyone who is thinking about adopting an animal to check out this shelter. On January 13th 2016 Robert said: We have had our boy Bramble for three years now. Great addition to our family. TCAS was great. On November 24th 2015 Amy said: I have three shelter babies and all of them are wonderful pets. The staff at the shelter are so compassionate and you can tell they love what they do. On November 25th 2015 Heather said: Adopted a sweet little dog from this shelter. The staff were very friendly and helpful. On November 21st 2015 Susie said: I adopted my dog 'Shadow' from here. Although I later found that she was a year older than they thought, I would not trade her for anything. After all she is my shadow. Very clean shelter, the animals are all well fed and the people that work there really care about what happens to the dogs. On November 15th 2015 Ashley said: I think the Tazewell County Animal Shelter is really under-rated. They catch a lot of hell for things beyond their control and even things that did not occur. The ladies that work there are amazing women! AND BY THE WAY THEY DONT KILL EVERY ANIMAL THAT COMES THRU THE DOOR! Yes, TCAS is a kill shelter, but they would not have to be if the public would admit they are part of the problem! These amazing women do all they can to help these animals get freedom. They adopt out, they work with several rescues, they send some for vet care and push as hard as they can to get them out into new lives. Putting them down is a hard task, one that even they will admit gets to them and its the task they dread the most. A large percentage of the public have the wrong idea of TCAS. These employees deserve respect and a round of applause for all the great things they have done INCLUDING getting as many animals as they can out of the shelter and into the arms of new owners. KUDOS! On August 11th 2015 Wesley said: This place is awesome. In March I met my very best furry friend named Hunter and I honestly ask what I ever did before him. My wife loves him and my step son adores him and later on down the road we plan to adopt another. On July 16th 2015 Kelly said: We adopted a Border Collie mix named Hambly (renamed Riley) about three weeks ago. Ginny and the staff were amazing! They were able to coordinate getting him neutered and delivered him to the vet the day of his surgery for us as we traveled over 5 hours to get him. He is such a happy dog and has made a fast transition to being part of our family. Thanks everyone for a very pleasant experience! On June 3rd 2015 Betty said: I have adopted three dogs from this shelter over the past 12 years. All of them are very healthy and a true joy to my faimly. All the employees at the shelter are very friendly and easy to work with. I dont think I could have bought dogs that would have loved me any more than the ones I got at the shelter. On February 3rd 2015 Tina said: We adopted a Momma and baby Chihuahua mix and they were wonderful in helping us in the process and I am so thankful. Will only adopt from them. On September 28th 2014 Sarah said: I love this shelter. I have had great experiences with all the employees. They were even nice when I couldn't decide on a pet. I suggest that people adopted from here or donate money or food. On September 10th 2014 Leah said: Good people to get animals from. I got a dog there about 3 months ago. Such a loving dog. If your In need of an animal go there. There is a lot of animals in need of a good home. On September 10th 2014 Leah said: We just adopted a Mini Pin from the shelter. The staff were very informative and helpful. The shelter looked to be clean and all the animals well cared for. Adopt today and give an animal a second chance! On August 16th 2014 Arabella said: These ladies are awesome. I have known them since I was kid and stop by every chance I get. What they do for these animals is wonderful and a big help to the community. On July 31st 2014 nancy said: These ladies are wonderful! Very caring, and work very hard to help these babies get out. On July 30th 2014 Toneka said: I think TCAS is a fantastic facility that tries super hard to get the animals adopted and rescued. Yes, they are a kill shelter but they do all they can to avoid having to do that part of their job. They genuinely care about the animals they get in there and they deserve a lot of props for the hard work they do. People do not realize how hard they work trying to save the animals. Keep up the good work Donna, Dorothy, Larry, and Chris. On June 20th 2014 Sherry said: My daughter adopted a black Cocker Spaniel named Annie from here. She is one sweet and special dog. She is spoiled by all of us. She is so happy and loving. She is not the same dog that we brought home from there. It took about a week for her to see that she was home to stay. We are so happy we picked her. I wish more people adopted their animals instead of buying because of a blood line. Thank you for our Annie girl. On June 3rd 2014 Linda said: Tazewell Animal Shelter has improved a great deal over the past year. Animals now have a chance to be adopted in a forever home. The programs for rescuing animals has been truly phenomenal. 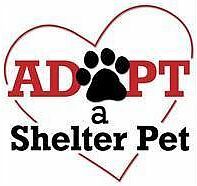 The photos on Facebook with info about the animals helps potential adoptees see what animals are available and also helps with animals who have strayed away from their home to be reunited with their families. The director and staff are courteous and knowledgeable and the shelter is clean and the animals are well cared for.